Use: Top Fuel, Pro Fuel and Pro Drag Harleys. Concept is to protect the front torso of the rider from Blast and Shrapnel that can occur when an engine explodes. This is achieved by using 15 layers of quilted raw Kevlar (Aramid Fiber ) fully enclosed in a 1000 denier nylon cordura casing. The vest uses elastic Velcro straps to hold the front plate against the rider's body. The Plate may also be constructed without the vest straps and back – in which case it may be slipped between the leather suit and the rider. Optional Titanium plate is available for additional protection. 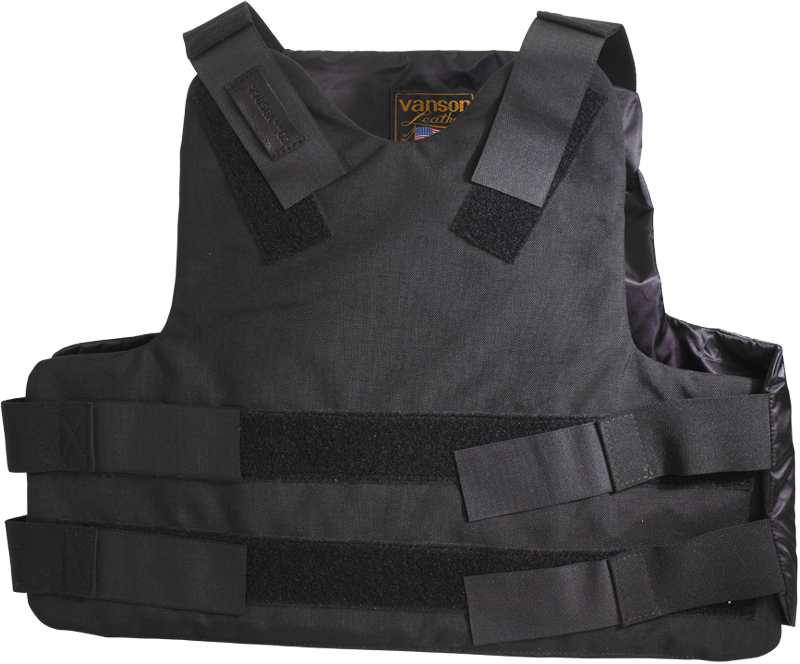 The Titanium Plate slips through a Velcro flap opening and fits next to the quilted Kevlar.